What a warm scene, evoking all goodness about the holidays! Nice to visit your blog! Beautiful photo. It really captures the coziness of the holiday. Yep... a warm and cozy feeling - welcoming the holidays. soo sweet! Now that says Christmas....beautiful tree! 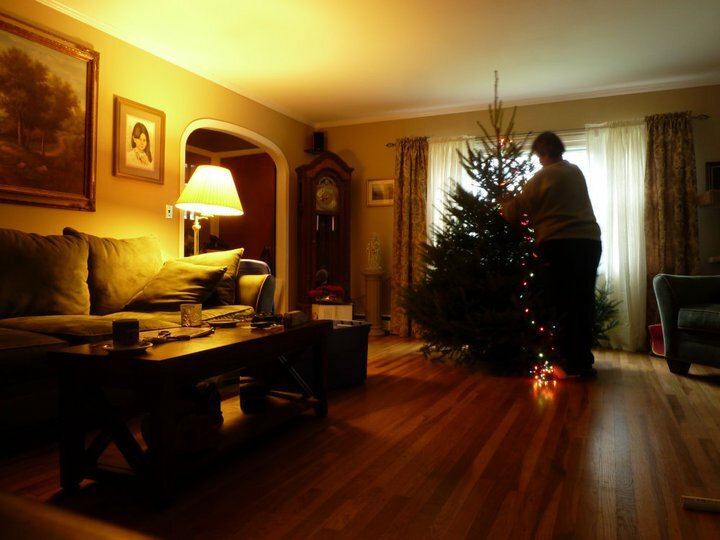 great captured moment evoking all the peace of the holiday in contrast to my usual frustration in stringing lights! Your living looks so big. ahhh! We have a very similar moment this week! Love yours!